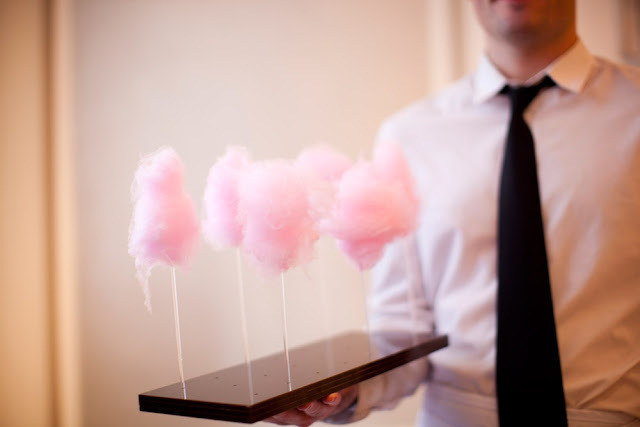 There aren't many things more whimsical and fun than cotton candy. Doesn't it just bring back your childhood? I love how it melts in my mouth... and it's just so pretty. Sometimes, when the feeling is right, we like to have cotton candy at our events. 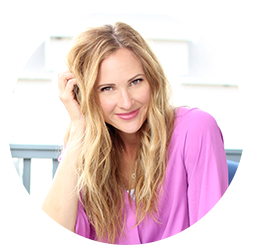 Here is an example of how we displayed it at the DIY Blogger House VIP Party in July. 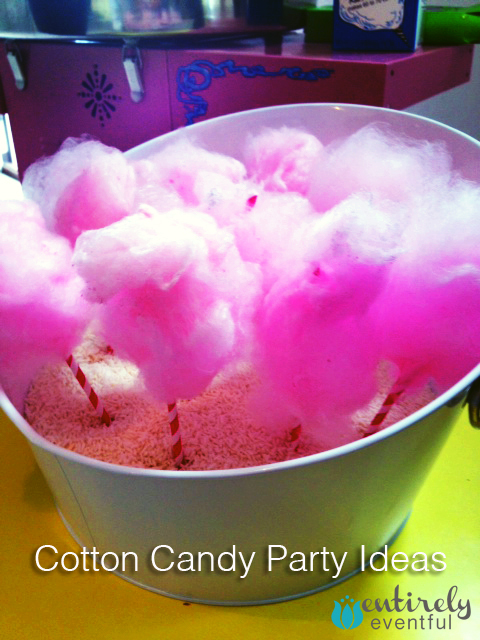 Courtney had the idea to wind the cotton candy onto cute striped paper straws and stick them in a container of rice. Isn't she smart?